For several years now, I’ve been touting the fact that, when it comes to making buying decisions, ‘we’re not in Kansas anymore’. And since the way folks make buying decisions has changed, so must the way we market to them change. 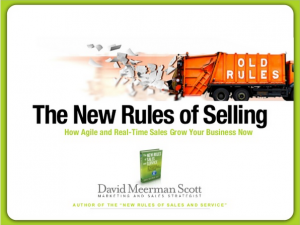 Here’s a short SlideShare presentation by best-selling author, David Meerman Scott.